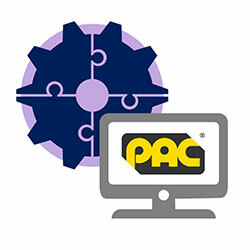 The IndigoVision PAC SecureNet Integration Modules just got smarter, with the latest update including support for software licenses, the Windows 10 operating system and PAC SecureNet v4.6. The IndigoVision PAC SecureNet Integration Module allows alarms and events from PAC SecureNet systems to be seamlessly combined with IndigoVision’s video security solution, giving complete video and alarm management in a single user interface – Control Center. Alarms from PAC SecureNet can automatically trigger responses such as displaying live video, moving PTZ cameras, starting recordings and sending notification emails – helping to dramatically decrease operator response time. With the new support for software licenses, there is no need for customers to wait for any USB dongle to arrive when ordering – with the added benefit that the integration can be run on a virtual machine if needed. Windows 10 support brings the integration up to date with the latest OS from Microsoft. IndigoVision’s PAC SecureNet Integration Module provides you with the flexibility and choice needed to create your customised, reliable and future-proof security management solution. To view the latest versions of these Integrations download the Integration Module Product Catalogue. previous post: See beyond the visible, with IndigoVision’s new BX Thermal Bullet Camera!